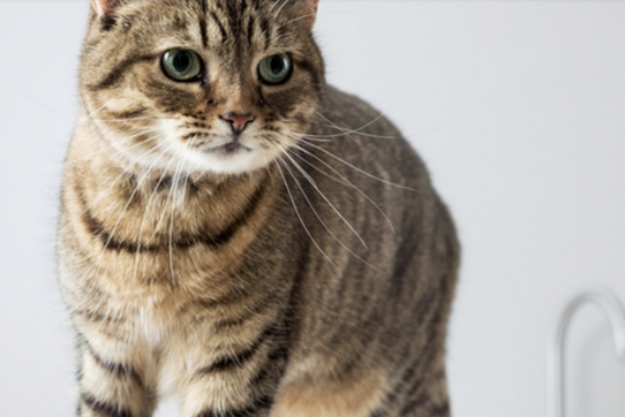 Cat lovers can often be left scratching their heads when it comes to the health of their pets, after all it isn't always easy knowing what to look out for when it comes to your little furball. So to give the nation's moggie owners a helping hand, we've teamed up with the experts at IAMS. All of their tasty recipes have been specially developed to care for your cat through expert nutrition and superior enjoyment and are available in a range of delicious meaty and fishy flavours with great taste locked into every bite. IAMS for Vitality offers not only a unique combination of food cats will love with all the expert nutrition they need but the tasty recipes also support the seven signs of healthy vitality including:. Leaping from a sleepy sun spot by the window to chasing their toy mouse means your cat’s muscles need to be well supported. Cats are true carnivores and need high quality animal protein. IAMS for Vitality contains high quality fresh chicken plus dried chicken and turkey to keep their muscles healthy and active. Cats are fervent cleaners – using their rough tongues and paws, they will find every excuse to groom themselves. To help keep their coat looking and feeling great IAMS for Vitality contains a balance of omega 6& 3 , helping to keep their fur gorgeously shiny and their skin healthy. With so much love to give it's important to keep your cat's heart healthy. Amongst other nutrients cats need animal protein in their diet to help support heart health. IAMS for vitality also contains taurine, an essential amino acid that helps to nourish the heart so you can feel their love everyday. Despite being meticulous groomers, cats aren’t immune to picking up illnesses. From time to time your cat will come face-to-face with all sorts of bacteria and viruses. Feeding them the right nutrients to support their immune system can help keep them protected for their next adventure. IAMS for Vitality recipes contain a balanced blend of antioxidants including Vitamins E & C to help support your cat’s immune health. Cats have different eating habits; but while some like to eat all their food at once most prefer to graze throughout the day, naturally enjoying nibbling on up to 18 mini meals per day. Whatever your cats preference, keeping their digestion healthy is crucial to ensure they’re getting the best out of their tasty meal. IAMS for Vitality contains a tailored fibre blend of prebiotics and beet pulp for healthy digestion. Sadly cats can’t brush their teeth like we do, so it’s important to give them the nutrients they need to keep their teeth healthy. The IAMS for Vitality crunchy kibbles with tailored mineral levels coupled with daily tooth brushing helps to keep their teeth strong and healthy so they can enjoy every meal. Your cat’s diet has a direct effect on the health of their urinary system – something that you might not think about when choosing food. IAMS for Vitality is formulated to reduce urinary pH to support a healthy urinary tract. To help even more IAMS recommend providing fresh water following the 1+1 rule – one bowl for every cat + one more. . This helps make sure your cat has plenty of fresh water to keep them hydrated and happy. Treat your cats to the delicious IAMS for Vitality range of recipes with meaty and fishy flavours they will love at your local store today. Click here to find your nearest IAMS retailer.